Game of Thrones is one the biggest things in all of entertainment right now. HBO's hit TV series (inspired by author George R.R. Martin's hit series of books) has won a record number of awards and steals the pop-culture spotlight for the span of every season that airs. Medieval fantasy has been a popular genre for decades, but it's also fit snug into its own niche, with a passionate - if not extensive - fanbase. With it's otherworldly settings and fantastical story arcs and characters, fantasy truly lived up to its namesake, often being looked at as a destination for people who delight in imagination. 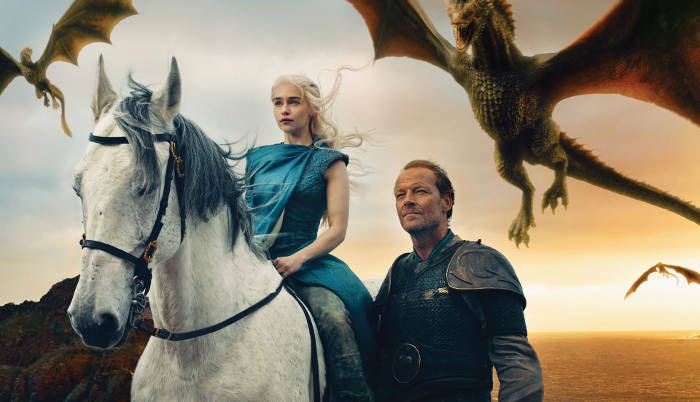 Game of Thrones came along an shattered that perception, revealing what fantasy fans have always known: that like sci-fi, fantasy can be a conduit to telling some of the most timely and relevant stories around. Showrunners David Benioff and D.B. Weiss embrace the gritty edge of Martin's material and recognize the author's insight into the modern realities of so many serious subjects, including politics, religion, sexism, race, sexuality, philosophy, and so much more. There are moments or lines from the show that strike such powerful chords with our modern dilemmas that they become the stuff of our collective zeitgeist (see: most of what Tyrion says). Like we said: fantasy had its niche, and that niche usually relegated fans who liked to discuss fantasy trivia to a far corner table of the lunchroom cafeteria. While D&D or Magic: The Gathering enthusiasts tend to love discussing issues like mages vs. archmages, or classes of orcs and goblins, or different artifacts and weapons to quest for, it's never really been the type of conversation you find at your average dinner party. Game of Thrones has changed that. Nowadays, talking about the extensive catalogue of characters, families, geography, religions, mythology and (hell) even the food and drink of Westeros is not only not geeky, it's attractive. [Ed Note: That's not speculation or hyperbole, I've seen it happen.] You would think it would all be too overwhelming and/or tiresome for the average viewer, but people are so invested in getting the full scoop on whose who and what's what on GoT that they'll invest hours of conversation and/or research to do so. When you consider the stigma that talking about fantasy trivia used to carry, GoT it's clear that Game of Thrones has made serious progress. As Game of Thrones heads into its seventh season, it's become clear that George R.R. Martin is telling one epic underdog story, which is something that audiences (particularly American audiences) totally respond to. GoT worked is bait-and-switch on viewers by giving us a collection of traditional good guys to root for (like Ned Stark, his son Robb, and wife Catelyn), and then butchering those good guys in front of our eyes. Even the obvious bad guys to hate (Viserys Targaryen, King Joffrey, Jaime Lannister's hand) have eventually been wiped off the game board, leaving some unlikely schemers to rise to power. If you can't tell by now, Game of Thrones is the story of how misfits who started off low, or with a gloomy fate ahead of them, but overcome great odds to rise to power and/or glory. Tyrion, Jon Snow, Danaerys, Davos, Arya - Cersei, Littlefinger, (Sansa?). 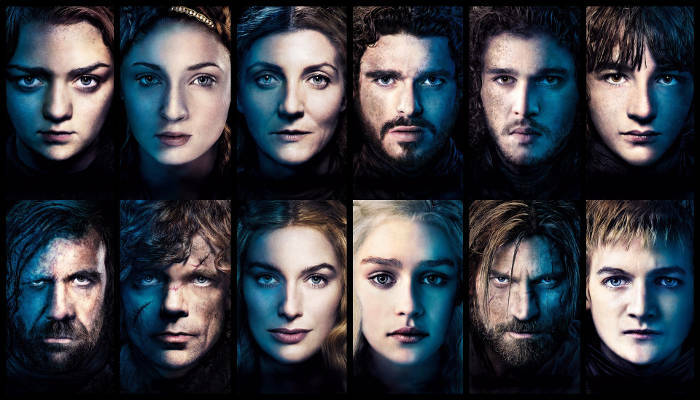 The characters that fans know and love the most now are the same ones they watched grow the most over the course of the series, and its a testament to GoT's power that good or bad, we're rooting for them all. It's Stacked with "New Talent"
What show besides Game of Thrones has spring boarded this much new talent to fame? 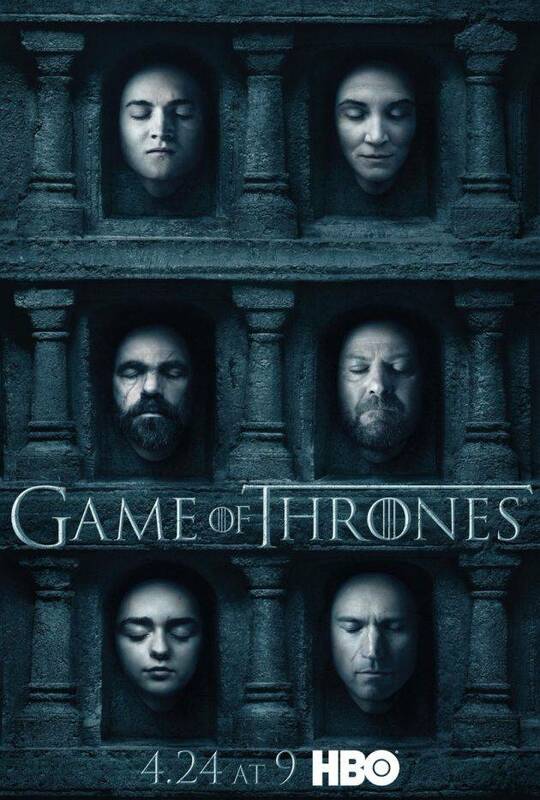 Peter Dinklage is a pop-culture icon; Emilia Clarke is hailed as the most beautiful woman in the world; Kit Harrington may be the most beautiful man, right behind her; Sophie Turner is growing into a movie star; Natalie Dormer already is one (ditto for Richard Madden and Rose Leslie); Maisie Williams is a social media darling; and even "older" actors like Lena Headey, Pedro Pascal, Charles Dance, Aidan Gillen, or Nikolaj Coster-Waldau have all seen their careers get new leases on life. Got has been great about bringing the stars of tomorrow to us today, while also taking the talent of yesterday and making it fresh again.